I don't force SS outside of the app -- the app just calls it resolution, and I use 1.0 there. Couldn't see a difference in performance with AA, so I left it on. HDR and AO aren't selectable in the menu -- just shadow quality. A few of my favorites: Onward, Echo Arena, Serious Sam (all 4 games are co-op), From Other Suns. Anybody figure out how to wait? Like to pass the time faster? I keep shouting at people in Whiterun trying to wait for Warmaiden's to open lol. @tonsta31, I apologize if I missed it somewhere, but what type of game are you working on? Any details that you can talk about? I assume it will have good locomotion options, considering your awesome contribution to Robo Recall! Can somebody who owns this game please tell me if it's controller-oriented or hmd-oriented movement? If it's got the option for controller-oriented, I'll have to try it when I get my PC back. This is awesome! Please ignore my question to you on the other thread. For clarification, are you able to access all of the Pipboy functions easily by also having an xbox controller connected and just picking it up when you pull up the menu? That still sounds annoying, but better than the current touch control scheme. Don't shoot Odin until after you hit him with missiles and he's able to receive damage. And make sure you stop shooting as soon as he recovers. Those shots that don't damage him count against your accuracy I believe. Anyone who's tried this, is there a way to make it controller-oriented movement, or is it still locked to HMD-forward? That's fair -- people did have those good things to say as well. Just not, in my opinion, good enough to justify a purchase until a couple specific cons are improved: locomotion and gun alignment. 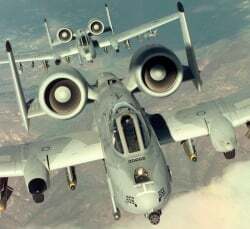 A-10 is best in my totally un-biased opinion. In all seriousness, though, you need rudder pedals if you use it. I personally can't stand flight sticks that twist, so not having that function was a major selling point for me.